Is there ever a wrong time to be in Las Vegas? Yes, summer can be brutally hot, but if you are a pool person, you'll find a reason to sit in the shallow end with a drink in your hand while meeting new friends. In the middle of winter when snow is falling in your neighborhood, Las Vegas will welcome you with sunshine and cocktails. If you are looking for great weather and minimal crowds, the best time to visit Las Vegas is in the spring. Temperatures are warm and enjoyable, and it's not packed. Visit later in the spring if you enjoy spending time by the pool. But honestly, the right time to visit Las Vegas is entirely up to you and your likes and dislikes. While that might sound like the obvious answer, the truth is that the seasons in Las Vegas might attract you or the crowds might tempt you. Are you a pool person, a golf person or a strict gambler? Is it about the entertainment, the nightlife or seeing the attractions on the Las Vegas Strip. You can dictate when the best time to go to Las Vegas is. If you visit Las Vegas for the incredible dining scene, you probably don't even care about the weather but if you love to walk the strip spring and late fall are your perfect months. First, consider when the best room rates can be found in Las Vegas. The best time to go to Las Vegas is often when the price of the rooms is the cheapest. Room rates go down when the weather gets hot. The pools get going then as well and saving money as a whole becomes far easier. July and August traditionally see room rates go down but weekend rates are still going to be on the high side. Consider Monday through Thursday nights for the best prices. The summer months in Las Vegas can be hot, but the pools in Las Vegas do an incredible job of keeping you cool and keeping the action level peaked throughout the day. Daylife is a real draw these days, so a party in the middle of the day is the best remedy for warm temperatures. Winters in Las Vegas are quite warm as well, with temperatures almost never dipping below freezing. If you are a fan of the Las Vegas shows, check out schedules to help you decide when the performers you want to see are doing their thing in Las Vegas. Thanks to tons of different options, you are almost assured of having plenty to choose from no matter when you decide to visit. The only time of the year that might be tough for show lovers is the week right before Christmas. Conventions in Las Vegas can move prices in the wrong direction so you might want to get a heads up on who is going to be in Las Vegas and just how much it is going to cost you the conventioneers are in town. 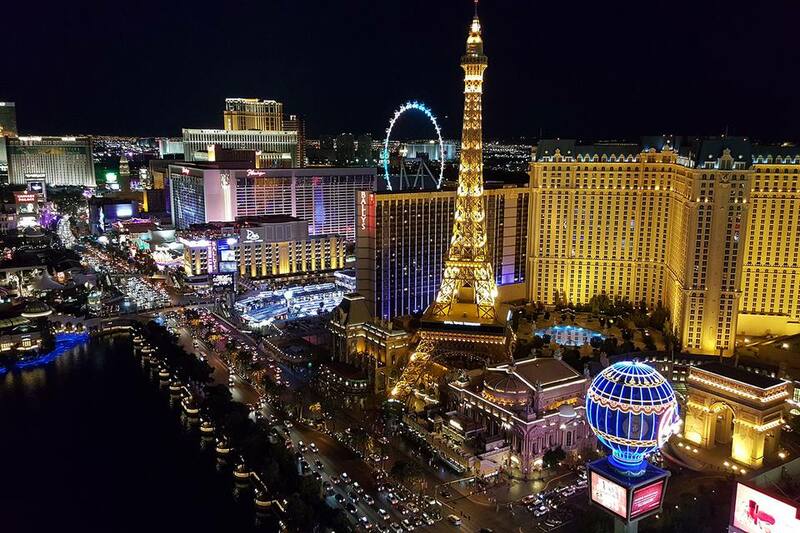 Do not allow conventions to play a significant role in your decision on when best to go to Las Vegas but if you are puzzled by high prices for a mid-week room, they are usually the culprit. If you're looking for the best possible weather, this time of year is as good as it gets. Temperatures are warmer than many parts of the country and perfect for walking along the strip—or staying inside at the casino. Crowds can peak during the spring break in April, but March and May are great times to visit. Try more than 500 different kinds of beer at the Great Vegas Festival of Beer, with food pairings to match. June, July, and August are incredibly hot but are great for spending long days by the pool. Vegas is known for wild pool parties, the best of which are held during the summer. Temperatures regularly exceed 100 degrees Fahrenheit (37 degrees Celsius) outside, but Las Vegas is a city of great air conditioning. Summer can be an excellent time to score deals on room rates. The World Series of Poker runs for two weeks in early July. Fall is another time of year when Vegas experiences great weather and minimal crowds. Labor Day weekend and other holidays are always popular, but if you avoid those dates, you'll find discounts on rooms, shows, and other attractions. The Fetish and Fantasy Ball at the Hard Rock is an October must-do. This Halloween extravaganza features DJs and performers and more. On Thanksgiving Day, Las Vegas restaurants offer decadent meals, ranging from classic buffets to modern gastronomic experiences. Temperatures in Las Vegas during the winter are cool but very rarely freezing. Daytime is typically in the mid-60s Fahrenheit and snow here in non-existent. Winter is a great time to visit, especially if you come around Christmas and can see many of the hotel's elaborate decorations. The Consumer Electronics Show is held in January. It draws more than 200,000 people to Las Vegas.